Activity to create opportunities of learning from words. To provide opportunities for the children in the world to express themselves by words with poems, lyrics, or essays. These activities are intended to foster creativity, support the growth of mind, and create a chance to learn a diversity of cultures and deepen international understanding for the children. We made the original animation film with song to convey the spirit of “HEARTHEART”.We show it at many places in Japan and overseas. 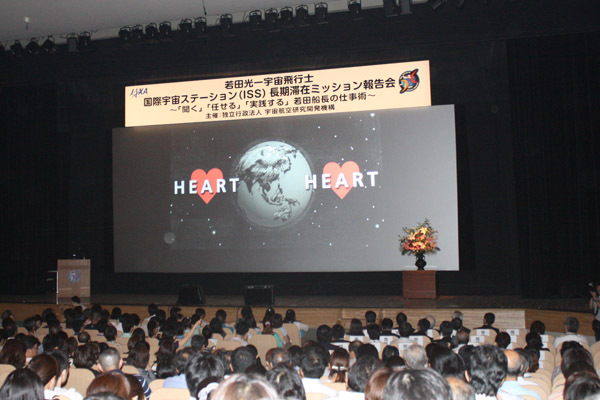 Our original movies were shown at The ISS Mission report session by Astronaut Koichi Wakata on 22 Aug.2014. Over 1000 audience watched the movies with enthusiasm. June 2013 At the lecture of Astronaut Soichi Noguchi at Vietnam National University, Hanoi. March 2014 At the donation ceremony held at the student’s hall of University Darma Persada and Al Falah special primary school near the garbage collection place area in Bantar Gebang district in Bekasi city. 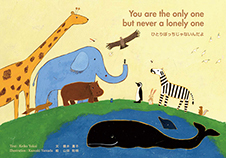 In November 2013, we were invited to Children’s Festival at Japanese School in Yangon, and children showed the skit based on our picture book “You are the only one, but never a lonely one”. In March 2014, the children of Al Falah special primary school of Indonesia sent us a video letter singing our original song “Heart wo tsunago”, and expressing their dreams for the future and cheer messages to the people of the stricken area, all in Japanese. 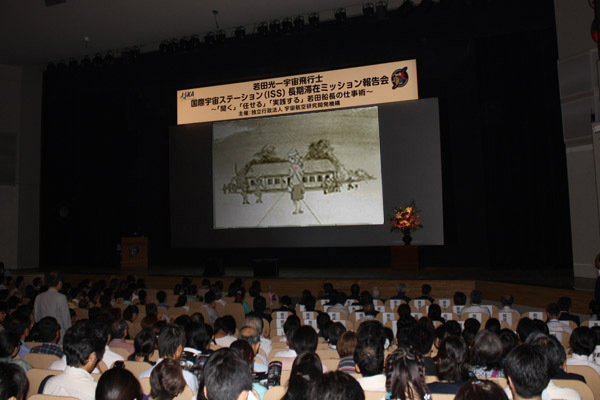 In August 2014, when we visited Iwate and Miyagi prefecture, we showed these films and were able to receive the returning messages from the children of this area.